In the winter of 2005 I developed a strong interest in making music. One of my friends had been producing music using Reason 2.0 and a super old version (new at the time) of ProTools LE and I was amazed. I knew that this is exactly what I wanted to do too, but I had no idea where to even start. I had toyed with a demo copy of Fruity Loops 4, but I didn’t even own a computer at the time so I was completely lost. I begged my friend to teach me and asked him to write a list of things I would need to get started. I could tell he didn’t really think I was serious, but he gave in and wrote a bare bones list of things I would need. So I took that list and set out to buy what I needed. Then I realized I didn’t have any money. Lol. So I decided that day that my nice shiny Honda CBR 929RR had to go. By this time spring was in full force in Wisconsin and the fresh arrival of warm weather made it easy to sell a motorcycle. Once I sold the bike I used the money to fund my new musical endevours. At the time laptop computers were ridiculously expensive so I decided to purchase a refurbished DELL laptop for around $500. It had a 14.1” display, AMD Processor, 256k of memory, and a 60GB hard drive. To this day I still don’t know how I even ran Reason from that laptop. Next, I bought a 61 key MIDI Controller and a copy of Reason 2.5 from Musicians Friend then a cheap pair of $30 DJ headphones from the local music store. I had officially purchased my first production rig. That was in 2006. I learned a lot from that little set-up and will always remember how it all started. Technology has come a long way since then and this has allowed producers such as myself to be able to more affordably produce higher quality music right from home. I always knew I wanted to have a really nice home studio one day and over the last 8+ years I’ve worked my dream into a reality. Everyone has their own preferences when it comes to their creative space, but I love the way my current studio is set up and wanted to share it with you. Now I in no way am saying that this is a step-by-step guide in building a production space at home or that you NEED every piece of gear mentioned in order to make amazing music. This is just what I use and I hope that it can inspire you to chase your dreams too. Below is a detailed list of the gear mentioned in the video as well as links for you to be able to get more information on each item. I also have over 1.5TB of software on my computer that I use to produce. It’s a lot to cover and I didn’t have time in this video to do so. If you would like me to make a second video covering software such as mixing plug-ins, virtual instruments, drum kits, DAW’s, etc. please leave a comment on the video via YouTube. If enough people ask for it I will make a video for it. 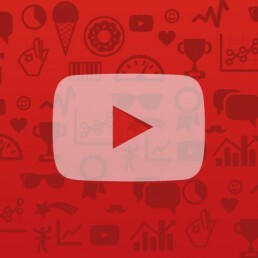 If you haven’t yet, please subscribe to my YouTube channel and feel free to hit me up on one of the social networks. Thanks for visiting the blog and watching the video. Did I miss something? If I did make sure to let me know by leaving a comment on the video via YouTube. Thanks again! In this video we’re going to discuss WHY we get beat block and reveal five proven techniques to overcome it. Now in order to overcome this sort of creative block we first have to understand why we’re running into it in the first place. The best way to find a solution is by identifying the root of the problem which could be different from person to person. With that being said I’ve identified four main reasons for beat block. Social Media, YouTube, your Email, and life in general will easily pull your attention away from being productive so keep that in mind the next time you find yourself slipping away from creating. You could be tired of what you’ve been working on because it’s not challenging you creatively. Are you making music at that moment because you’re inspired or because you’re bored? If you’re doing music as a hobby and not as a business it’s a little easier to lose motivation, but that ok. You don’t have to be inspired 24/7. If you’re like me, then you like to make the most of your time. 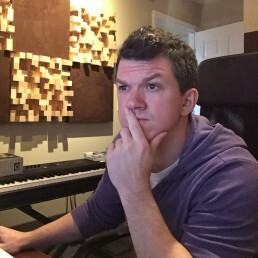 So when you sit down with the purpose of creating music you want to be as productive as possible, but when nothing seems to sound good and you’ve blown through a couple hours without anything worthy of saving it’s easy to get overwhelmed. Being overwhelmed by anything other than joy or excitement will definitely put a choke hold on your creativity. So that was a quick overview of some of reasons that we experience beat block or creative block. Now let’s get into the five techniques to overcome it. Dedicate a set amount of time each day to getting out of the studio and stimulate your brain with other activities. Sometimes we spend all of our time in front of computer screens and cut ourselves off from the outside world. This type of solitude can have a negative effect on our brain activity and mood. Going to the gym, reading, and participating in group activities are great ways to let your brain reset creatively. When you listen to the same types of music on a regular basis your brain becomes numb to it and far less stimulated. By switching up what your brain is processing you effectively jump start mental stimulation which can have a profound effect on your imagination and creativity. Try listening to a different genre of music for a few days. Switch it up and be open minded to new types of music. Spotify and Pandora are magical when it comes to this. In less than 10 seconds you can add random new stations and be listening to music that you’ve never heard before. We all fall victim at times to the dreaded comfort zone. We find a genre and style of music that we excel at producing and eventually we get frustrated when we realize that all of our music is starting to sound the same. Now developing your own style is a great thing, but in order to continue to grow and develop as a creative entrepreneur we have to force ourselves out of the comfort zone. So even if you’re not experiencing beat block at the moment I highly recommend switching things up once in a while. So if your go-to genre, for example is R&B, focus on producing something else, such as Top 40 Pop, or a specific niche of hip-hop such as west coast or classic New York style tracks. By switching up the style of your compositions it will trigger your body to release powerful neurotransmitters which are chemicals that effect your mood, focus, and creativity such as dopamine, noradrenaline, and serotonin. That’s not just my opinion either. That’s science. As a music producer we like to gravitate towards other music producers. So you most likely know a few people who you could contact to see if they’d be interested in working together on a project. Collaboration can be a fun way to create some really fantastic music, and at the same time develop long lasting friendships with those you work with. It’s also a great way to expand your technical knowledge because you’ll end up learning from one another. Now not everyone likes collaborating on compositions, but that’s ok. A lot of the time just talking music, life, and business with other likeminded people is enough to breathe some fresh air into your work. We’ve all come down with a case of beat block at some point in our lives and I’m sure I’m not alone when I say it can be really frustrating. One thing that has helped me personally is going back into older unfinished beats and finding one that gets my attention. Sometimes it’s hard to create from scratch, but if you have something with loads of potential already started it can be a lot easier to focus on the task at hand. So I’ve been producing music for almost 12 years now and in those twelve years I must have been asked this same question at least a hundred times. Now the wording might be slightly different from person to person, but when you boil it down, it’s straightforward. What do I need to start making beats? It’s funny because I can remember asking this exact same question back in October of 2006. The guy I asked was a local club DJ who also produced music and happened to live with a friend of mine. He wrote down a few essentials on the back of an envelope for me and the rest is history. He goes by the name of DJ Deville and he’s been one of my closest friends now for over a decade. For him to take the time to point me in the right direction absolutely changed my life and I’m hoping that I can be that person for some of you today through this video. So there’s several different levels as far as where to start and it all depends on your budget, and what you’re looking to do. 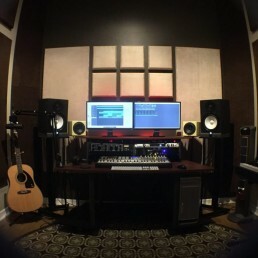 In this article I’m going to show you and explain my recommendations for anyone looking to start making beats at home with a budget of less than $300. Now that $300 budget doesn’t include a computer, but with it being 2015 I assume that most of you have a computer and it doesn’t have to have crazy high end specs to get started making beats. In fact my first laptop was an old DELL with an 80GB hard drive and 256k of RAM so I promise your computer is better than what I started with. So here’s a list of things you’ll need to start making beats. So to start you’re going to need somewhere to set up shop. It can be a desk, a kitchen table, wherever you want. I had an old IKEA table in my garage that I’ll be using for this set up. You can pick one of these up for around $30 new at IKEA. Naturally you’ll need somewhere to sit. This folding chair cost me 8 bucks. If you’re a baller you can use an actual desk chair, but I wanted to show how cheaply this could be done. For this video I’ll be using my MacBook Pro. It’s a 2011 Model running OSX Maverick and has 4GB of RAM. Nothing really new or beefed up. It doesn’t matter if you have a Mac or Windows computer. Either will work just fine. Next you’ll need some sort of beat making software. If you’re using an Apple computer you’ll have an application called Garage Band that you can use and it comes preloaded so you don’t have to buy any additional software. If you’re on a Windows computer you can buy a basic version of FL Studio for $99 and get unlimited lifetime free updates to newer versions as they come out. There are also programs such as Logic Pro, Cubase, Ableton, and Reason that are great for making beats, but are a little higher in price. Some audio interface units come packaged with free software so check to see what you have before going out and buying anything. Once you have the software you’ll need a way to control the different virtual sounds such as piano, drum kits, synths, pads, etc. so you’ll need a MIDI Keyboard. I’ll be using the AKAI Synth Station 25 that was actually made to work with an iPhone 4, but works fine via USB cable too. I got this off of eBay for $45. I want to take a second to say that there’s nothing wrong with buying used audio equipment as long as it was well taken care of. So many new products come out every year and people are constantly upgrading so there are a lot of really great stuff on the used market for fractions of what they cost new. Don’t hesitate to buy last years model either especially if you’re on a budget. With that being said, let’s move on to the audio interface. and a free copy of Ableton Live Lite 8 which you could use as your beat making software of choice. So now that you have the keyboard, the software, and the interface you’ll need a way to hear what you’re doing so instead of buying some cheap horrible sounding studio monitors I’d recommend buying some decent studio headphones first. I prefer closed back headphones and the ones I’ll be using for this set-up are the Audio-Technica ATH-M30. I picked these up for under $40 brand new. A decent set of studio headphones will allow you to hear things that you wouldn’t be able to differentiate in a cheap pair of studio monitors. I also recommend using some sort of surge protector just in case of a storm or power surge. It’s an inexpensive way to protect your equipment. That’s really all you need to start making beats. This set up might be inexpensive, but it’s nothing to laugh at. I promise you that with this set up alone you could develop your talent to a point where you could start making money with your music. 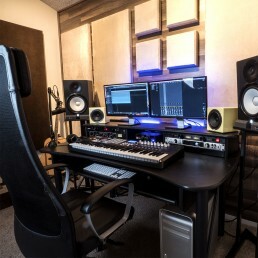 Now if you have a little bit bigger budget and want to take it to the next level or have been using a set up like this for a while and are looking to add on, then I’d highly recommend picking up a pair of good studio monitors. A good pair of studio monitors will last you for years and give you the flexibility of being able to switch between your professional studio monitors and your headphones for an even better mixing process. A lot of people go with the KRK’s or the Yamaha’s, but in my opinion one of the best set of entry level studio monitors right now have to be the Tannoy Reveal 502’s. I’ve spent a lot of time listening to various 5” monitors and the Reveal 502’s are amazing. They compete with other models that are two or three times their price. Not to mention they look really nice. To be honest I wasn’t really familiar with the Tannoy brand, but they’ve been around since 1947 and have been used in some of the most legendary studios around the world. In fact Tony Maserati prefers Tannoy’s and he’s mixed countless hit songs for everybody from Beyonce, Sting, Backstreet Boys, Jay-Z, Tupac, Alicia Keys, and that just naming a few off the top of my head. Anyway, these are what I would buy if I was starting over again. This set up is simple, yet powerful. With this set up you can evolve into a beat making machine and someday be doing what you love for a living. That’s the dream. You have to start somewhere in order to make it a reality. I hope this video helps answer some of your questions and points you in the right direction. If you haven’t yet, make sure to subscribe to my channel and leave a comment in the comments below to let me know if this video has helped you.